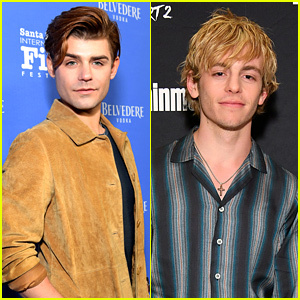 kali rocha Photos, News, and Videos | Just Jared Jr.
Joey Bragg jokingly tries to give co-star Sean Giambrone a kiss on the red carpet at the premiere of Mark & Russell’s Wild Ride held at ArcLight Hollywood on Wednesday night (November 18) in Los Angeles. 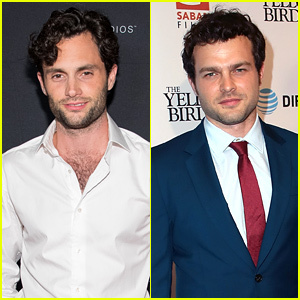 The two actors were joined by co-star Tiera Skovbye, as well as Joey‘s girlfriend, Audrey Whitby and Liv and Maddie co-stars Emmy Buckner, Shelby Wulfert, Jessica Marie Garcia, Tenzing Norgay Trainor, Kali Rocha, and Shak Ghacha. Brothers Raymond and Ryan Ochoa, Best Friends Whenever‘s Lauren Taylor, Landry Bender, Benjamin and Matthew Royer, K.C. Undercover‘s Trinitee Stokes, Lizzy Greene, Debby Ryan, Chloe East, August Maturo, and Disney XD stars Jake Short and Bradley Steven Perry also hit up the premiere. 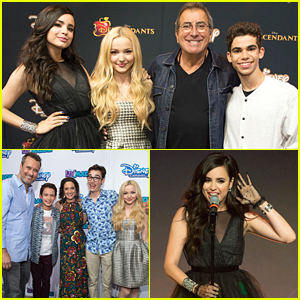 Dove Cameron, Sofia Carson and Cameron Boyce joined Kenny Ortega for a cute cast pic during the 2015 D23 Expo on Saturday afternoon (August 15) in Anaheim, Calif. The Descendants stars meet with fans before Dove, 19, and Sofia, 22, hit center stage for two special performances of “If Only” and “Rotten To The Core”. “@dovecameron and @sofiacarson performances today at #D23 made us all so proud! 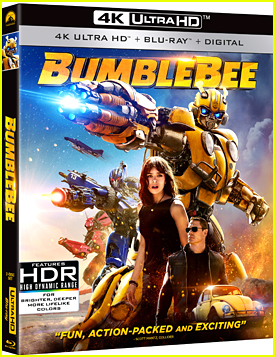 If Only and Rotten to the Core Sofia Version. Way to go ladies!! !” Kenny shared on Instagram. 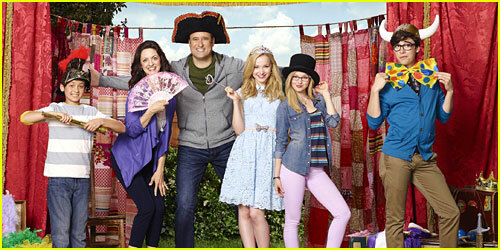 Dove is also pictured with her Liv and Maddie cast — Benjamin King, Kali Rocha, Joey Bragg and Tenzing Norgay Trainor. The Liv and Maddie cast all came out to support Dove Cameron at the premiere of Descendants held at Walt Disney Studios on Friday night (July 24) in Burbank, Calif.
Kali Rocha, Benjamin King, Tenzing Norgay Trainor, Jessica Marie Garcia, Emmy Buckner and Shelby Wulfert all hit the red carpet, joining Raini and Rico Rodriguez and The Good Dinosaur’s Raymond Ochoa. “Agh guys!! Tonight is the @Disney #Decendants premiere!! I’m going to cry when I see my Dovey on the big screen! ???????? #mamaissoproud ??? ?#teamMal,” Jessica tweeted out her support earlier in the day. So cute! JJJ had so much fun doing this! 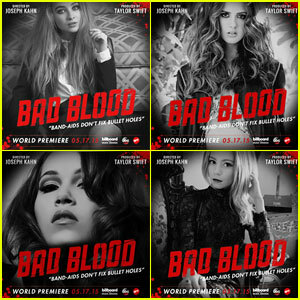 With just one day until Taylor Swift‘s “Bad Blood” music video debuting at the 2015 Billboard Music Awards, we started to think about how awesome it would be to see our fave Disney stars in the video and the posters! 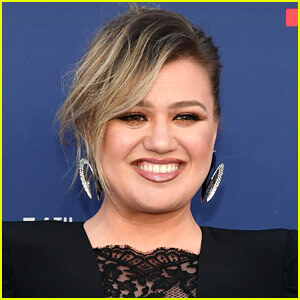 Sure, we’ve got Zendaya and alum Selena Gomez actually in the video, but what about the others like Sabrina Carpenter, Kelli Berglund, Debby Ryan, Laura Marano and more?